1. A type of insurance that provides coverage for multiple different types of property within a single insurance policy. Homeowner's insurance is an example of an umbrella insurance policy; homeowners insurance covers damages to both the home and the contents of the home. Also known as an "umbrella policy," "blanket policy," or "blanket insurance." blanket insurance A form of insurance that covers multiple different classes of property with one policy. Homeowner's insurance, for instance, not only covers damages to the insured home, but also the contents of the home. broad form insurance Insurance that covers rare events not normally covered in an existing insurance policy. commercial blanket bond Insurance that covers losses to businesses due to different forms employee fraud, such as embezzlement and forgery. commercial multiple peril insurance Insurance policies that provide businesses coverage for more than one named peril. floater insurance Insurance that covers assets not commonly covered by an existing policy such as electronics or jewelry. insurance (insur) An arrangement where one party provides financial protection to another party for specific damages or losses. multiline insurance policy A combination of different insurance policies that are rolled into a single insurance policy. named perils insurance policy Insurance that only provides coverage in the event of a loss from a peril specifically named in the insurance policy. personal property (PP) Property that is movable and not permanently attached to a dwelling or structure. 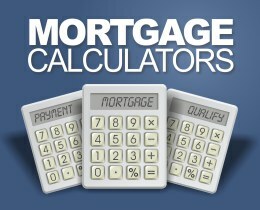 We took all of your suggestions over the years and added them all to our new and improved mortgage calculators. We think they're pretty good, but don't take our word for it, try them it out for yourself! Your bank simply isn't in the business of finding you a low mortgage rate. We can beat the banks' rates because we're not beholden to any one lender. We're free agents. We play the field, and if another lender offers us a better mortgage rate, our brokers will take it in a heartbeat and save you money in the process. Our independence lets us be confident that we can provide you with the best mortgage rates in Canada.